Sony Vegas is Windows based video editing software to make home movies, especiall for editing camcorder videos. However, if you want to import DVD to Sony Vegas Pro for further editing, you'll be disappointed since Sony Vegas doesn't support DVD format. Fortunately, there is an easy to fix the issue. The workaround is to convert DVD files to Sony Vegas compatible video format. To rip DVD to use in Sony Vegas Pro 11/12/13, you can use EaseFab DVD Ripper. It can easily convert DVD to a more editing-friendly format for Sony Vegas Pro. No matter what version of the NLE apps you are applying, and what Windows system you are working on, this DVD ripper will assist you to import DVD files to Sony Vegas Pro as well as Adobe Premiere Pro, Pinnacle Studio, Windows Movie Maker, etc for editing smoothly. Download it and follow its step-by-step instruction below to learn how to rip and import DVD to Sony Vegas Pro. Step 1: After you open EaseFab DVD Ripper, click "Load DVD" to add the DVD files you want to rip. 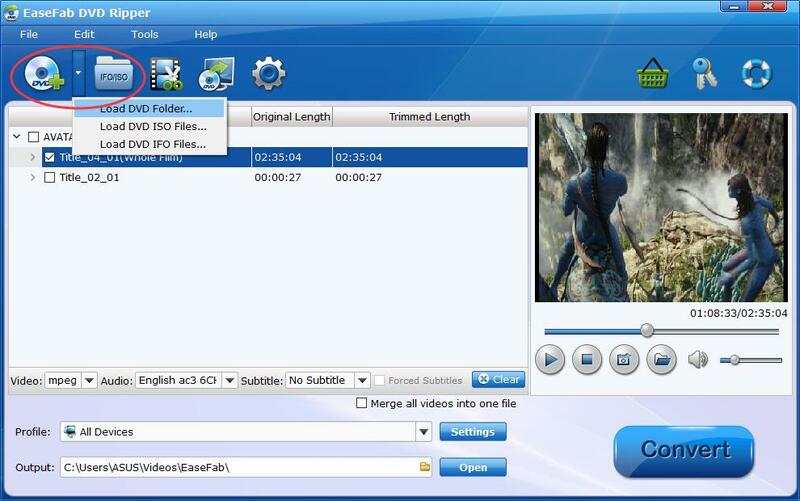 On the software main interface, there is a viewing window provided for you to preview the DVD files to ensure the files are what you want to rip. You can also take snapshots of the DVD movies when previewing them. Tip: You can either convert all the DVD titles or just choose some titles to convert. And to combine all the added DVD titles into a single video files, just click the Merge into One File button to join all added DVD files. 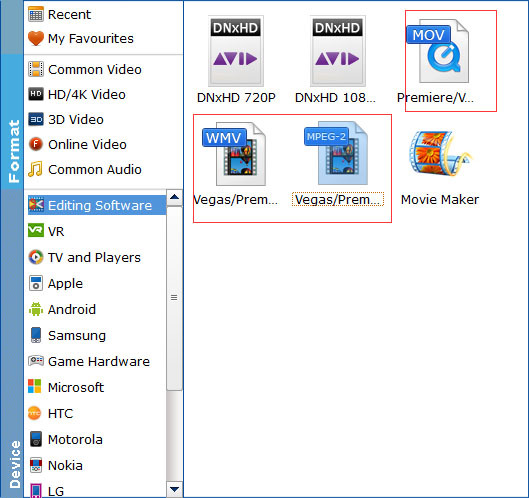 Step 2: Select "Editing Software" - "Vegas/Premiere (MPEG-2)" from the format drop-down menu. The output video seamlessly fits Sony Vegas Pro 13/12/11/10, etc. and the original quality of YouTube video will be kept. Step 3: When all is done, click "Convert" to begin the DVD to Sony Vegas video conversion. Just wait for the process to finish. After that, you can get the WMV videos and just open Sony Vegas and import the converted WMV videos for editing. You see, it's just so easy to turn DVD to Sony Vegas supported video formats in a few clicks! Just get the DVD ripper and enjoy DVD editing in Sony Vegas.